The hosts didn’t run away with the game in the manner that they were expected to on Tuesday night, but they still grabbed a big win. They know that a similar outcome on Thursday night. No matter how it is achieved will go a long way to seeing CSKA Moscow head back to the Final Four. The team from Belgrade know that another tough night is in store but they’ll need to hang on in there. One of the biggest surprises of the night was the fact that Nando De Colo was held in check for most of the evening. 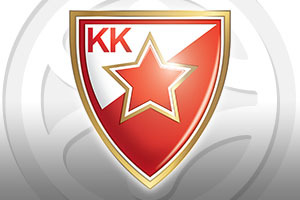 The top scorer in the league only managed to notch 7 points, which is the sort of outcome that Crvena Zvezda were looking for going into this game. However, one of the strongest points of this CSKA team is that they have a number of players that can do serious damage to an opponent. De Colo did provide 10 assists, but Milos Teodosic delivered his best performance in a playoff, grabbing 23 points and Kyle Hines provided his best ever effort, with 21 points from the bench. CSKA definitely have the depth of talent to win games but with this game coming so soon, they may find that their key players are not at their best. While the loss was a disappointing one for the side from Belgrade, they two can have some optimism about what is to come in the second game. Unlike their hosts, there was only one player in the away team that played for more than 30 minutes, which could see Belgrade being fresher going into this game. They will still have plenty to do but there is a slight cause for optimism for the away team. Crvena need to avoid the statistics about the CSKA unbeaten run at home and just focus on doing the basics right. It may not be enough but it will give them a chance of getting a massive result to take back to Belgrade with them. 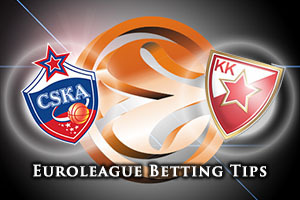 The bookies are still backing CSKA for a big win so look to take Crvena Zvezda Telekom Belgrade at +16 at odds of 1.90. If you are looking for the Over/Under market, look to go UNDER 160.0 which you can find on offer at odds of 1.90. Bet Now!